This page has been replaced, please update your bookmarks. Go here for all information regarding WTWE. 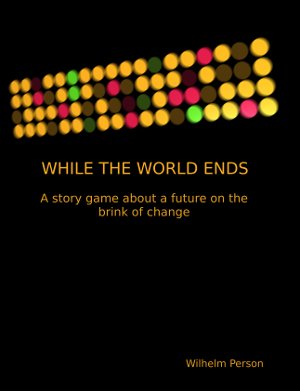 While the World Ends is a story game for three to four players and plays in three to four hours. 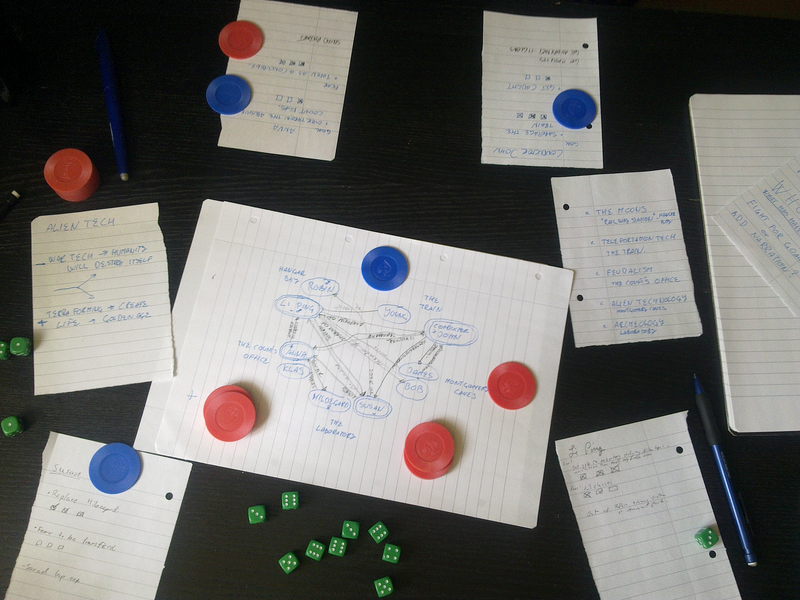 At the start of every game the players first build a setting together and then follow the lives of the four main characters as they struggle towards their own goals while the world changes around them. There is a competitive element in the game, and while the characters work towards their goals and dreams, the players fight for the right to shape the game world. A diagram is used to keep track of both the state of the game world and how various characters in the story are connected. For a more detailed description of how While the World Ends plays, check out this play report. 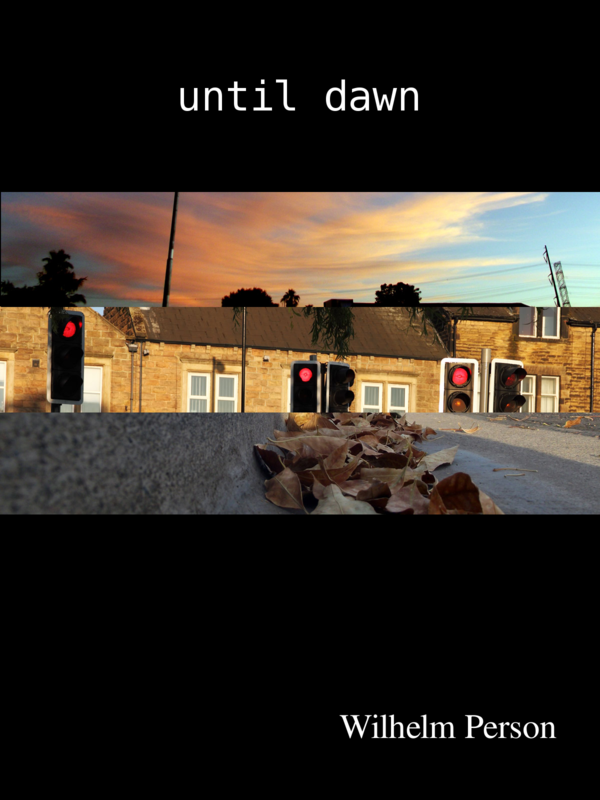 While the World Ends can be purchased through Lulu both in print and as PDF. There is a Swedish edition called Medan Världen Går Under, also available through Lulu in print and as PDF. If you want a game with fewer loose threads you can allow main characters that have not reached their goal or been struck by the fear yet to make a final roll during the epilogue. This roll may be done even if there are no change tokens available. The roll is optional. A Thousand … is a hack for WtWE which transforms the game into a game about courtiers trying to escape from the palace of the mad Sultan. The hack is inspired by A Thousand and One Nights by Meguey Baker. 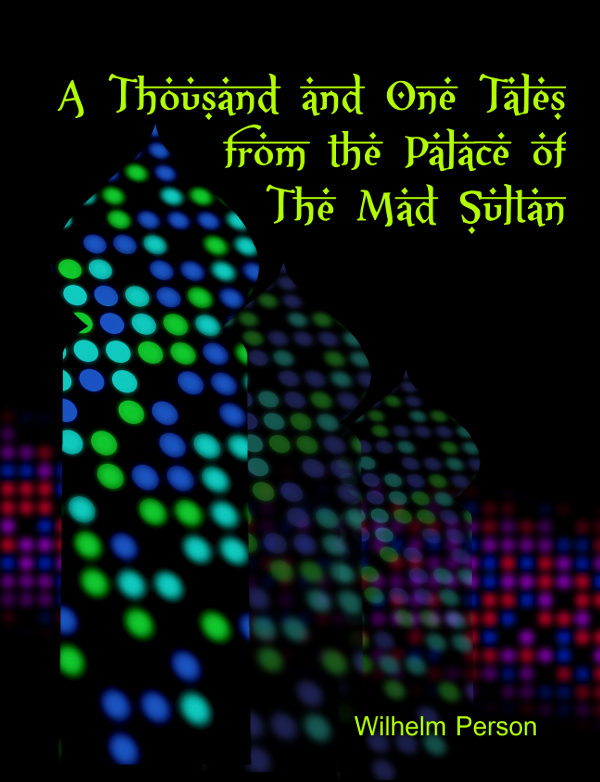 Download A Thousand and One Tales from the Palace of the Mad Sultan. A group of thrill seeking suburban teenagers break into their teacher’s house, only to find the teacher dead. That is the start of an exciting story and emotional roller coaster that lasts Until Dawn. The hack is inspired by Silver and White by Jackson Tegu.